Sean Whelan has been announced as the new London Correspondent for RTÉ News. Sean has been Economics Correspondent with RTE News for almost nine years, reporting on the economic crash, the Troika bailout and the economic recovery. 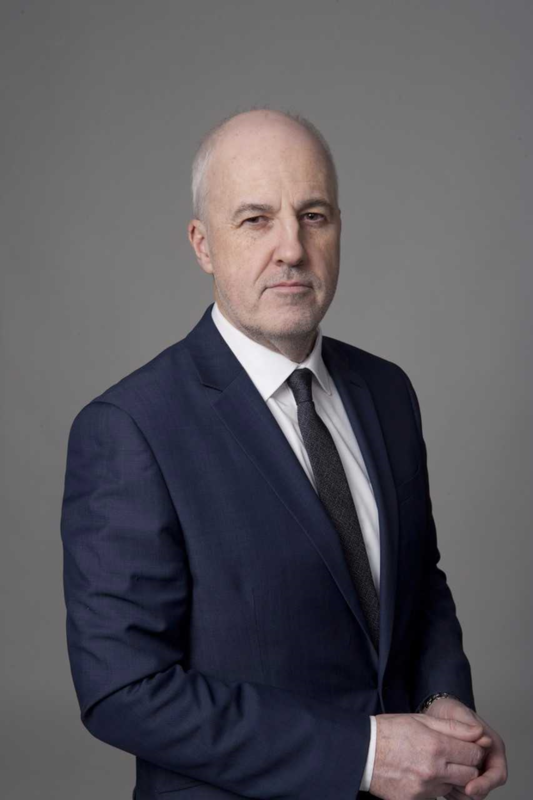 Jon Williams, Managing Director, RTÉ News and Current Affairs, said "There could be no more important moment for RTÉ to appoint its new London Correspondent - and I'm delighted that our audiences will benefit from Sean's insights. "Given his experience in Brussels and Dublin, there's no-one better suited to guide our audiences through the next chapter of Ireland and Britain's history." Sean will assume his new role in the summer following the departure of Fiona Mitchell, who is nearing the end of her four year posting in London and will be taking up a new assignment later this year. Paying tribute to Fiona, Jon Williams said, “Fiona has been a vital presence on air and online as Britain has tried to navigate the Brexit process. She's been tireless in tracking every twist and turn at Westminster, as well as covering terror attacks in London and Manchester and dozens of other stories - we could not have been better served." Sean will be reporting across RTÉ News' television, radio and digital platforms on political, social and economic affairs in London and across Great Britain. Speaking about his appointment, he said he is "grateful" for the opportunity to report on Brexit and its impact on the relationships between Ireland, the UK and EU. “What’s going on right now in our next door neighbour’s is a really important piece in the story of our own country, and for a journalist it’s a great privilege to be able to work on it – right there, where its happening," he said. "I look forward to receiving the baton from Fiona and continuing to serve RTÉ’s viewers, listeners and readers from London and beyond during this extraordinary period." A graduate of UCD, Sean also has postgraduate diplomas in Journalism from NIHE (now DCU) and Accounting and Finance from the Association of Chartered Certified Accountants (ACCA). He began his career in the mid 80s at Magill Magazine and the Irish Independent before moving to London where he worked as a reporter on the weekly business newspaper Marketing. He moved back to Ireland at the start of the 90s, working as a business journalist at The Sunday Tribune. Sean joined RTÉ News in 1991, and has worked as a radio reporter on Morning Ireland and a reporter/presenter on This Week and World Report. He joined the foreign desk in TV news in 1994, and reported on the war in Bosnia. As Deputy Foreign Editor he reported from the War in Kosovo, the return of Hong Kong to China, the election of new Labour in the UK and the attempted impeachment of Bill Clinton in Washington. He also spent a decade as Europe Editor, based in Brussels, and he was also involved in RTÉ's coverage of the Lisbon Treaty referendums.